Here today with a post that is a little different! 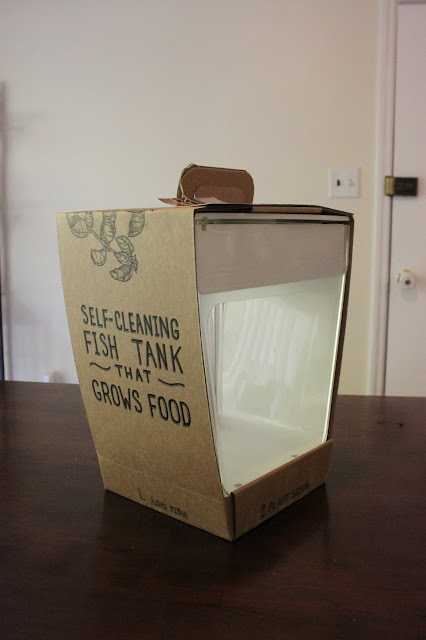 I'm here to do a fun review of a product called Aquafarm from an amazing company called Uncommon Goods. If you've never heard of Uncommon Goods stop what you are doing and head over there NOW! Uncommon Goods not only has some of the most amazing products but they are just a good company. They focus on featuring unique designs and hand crafted gifts that are created in harmony with the environment and without harm to animals or people. They also support several awesome non-profits including RAINN, American Forests, Women for Women International, and City Harvest. See, just good people doing good things! So, let me tell you a little about my Aquafarm experience. First of all, I was super excited to try this. Our family is very into health and wellness. We love growing our own food and using the freshest produce. 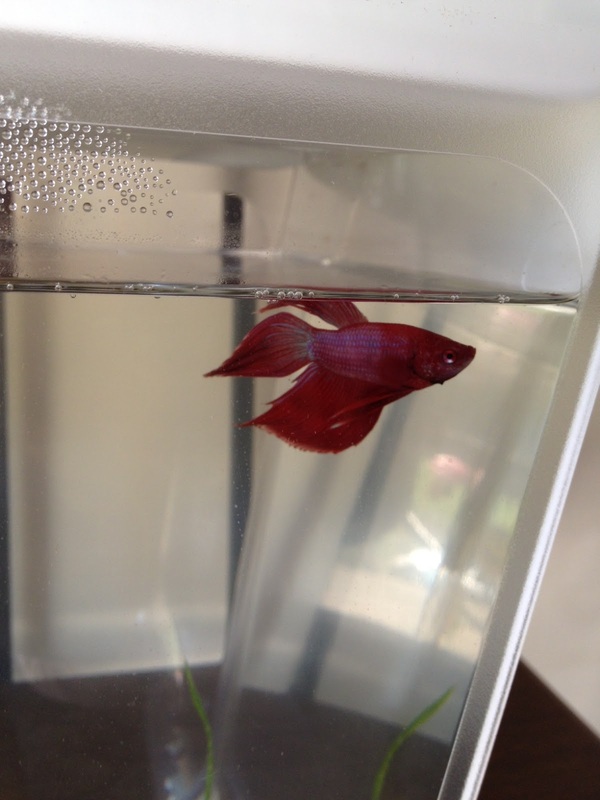 Plus, my son has been BEGGING for a fish for month now. Win win! The Aquafarm seemed like a perfect fit for our little family! Okay, I lied. 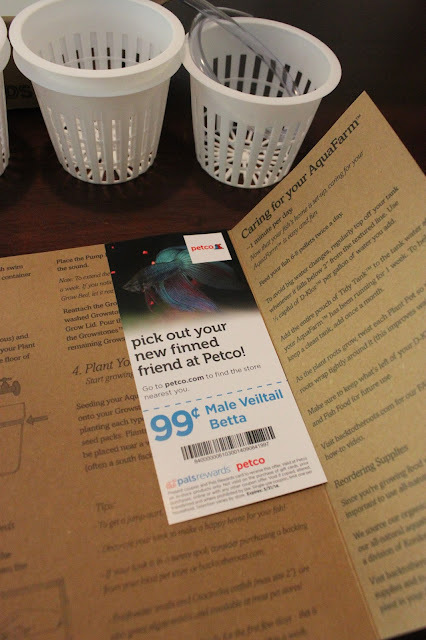 There was no fish, BUT they did give you a coupon for Petco! Picking out the fish was probably the most time consuming part of the set-up. Grayson couldn't decide what color betta fish to get. We settled on this cool red/blue one, quickly named Nemo by my 2 year old. All in all it took me about 30 minutes to set this up, 10 of which was letting the fish sit in the water in it's bag to get used to the temperature. 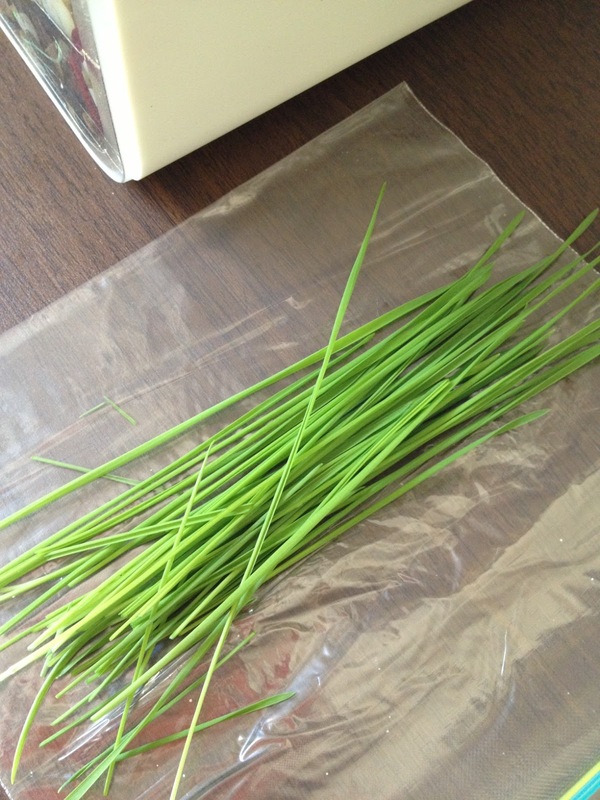 We had wheat grass! Now, mine does not look as lush as the professional photo. Pretty sure this was my own fault because I used the seeds really sparingly. So, I trimmed some off for my juice! Here it is after it's cut! After I clipped it, it grew back pretty quickly. It's been about 6 weeks now and my grass finally died. Had to happen eventually with all the clipping I guess. 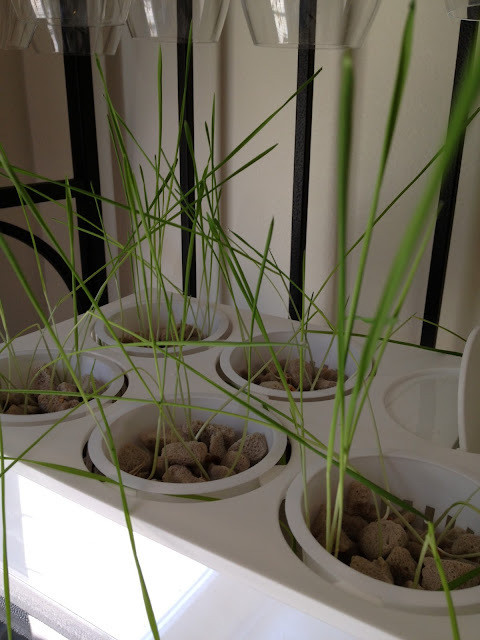 Luckily they give lots of seeds so I'm just going to clean out the cups and replant! I'd say the only negative was that the motor can be loud. As long as you have it in the right spot it's just a quiet hum, but if it gets knocked loose it makes a loud vibrating sound. Easily fixed by popping it back in place. I have to say it has been a success. 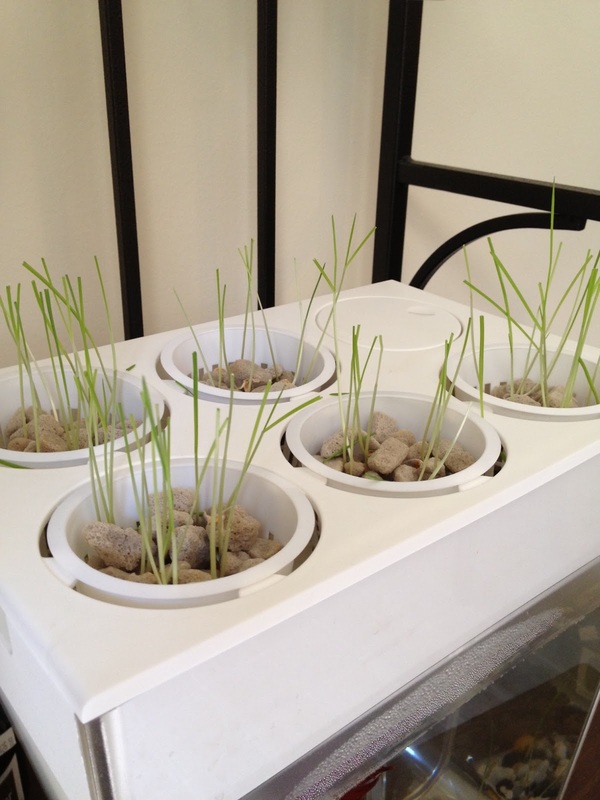 Not only did I actually keep the fish alive and get the wheat grass to grow, it has been a great educational tool for the kids and a fun topic of conversation when we have company over! I think I might plant the basil next just to see how that grows (I actually hate basil!). Aside from the Aquafarm, Uncommon Goods has a ton of really fun, unique, personalized gifts. A few other cool items they have are the Pick Punch (for the musicians in your life), and Kinetic Sand (which would be great for kids). You definitely should check it out while you do your holiday shopping! What a fun post! Those are the best kind of projects to do with the kids!